Little is known about Senvion's proposed 12-megawatt offshore turbine. Senvion has filed for insolvency. This comes as little surprise in light of the recent struggles of the German wind turbine manufacturer. Wood Mackenzie’s latest market share forecast highlighted the company’s global positioning falling from a meager 4 percent of global share to less than 1 percent by 2025 as legacy orders from recent auctions dried up. Senvion (formerly known as Repower) was never quite the same following the trials and tribulations of its acquisition by Suzlon back in 2007. The prolonged battle of Repower's minority shareholders with the Indian turbine manufacturer cast a pall over the group’s operations, hampering R&D efforts and market expansion. Suzlon was not able to gain full control of Repower until 2011. The tumultuous marriage limited the positive potential synergies that many analysts lauded between the two groups. Suzlon’s financial woes caused concern with offshore wind developers, snuffing Repower’s sector leadership position with its then-industry-leading 5M and 6M turbine platforms. Repower was not able to make any tangible inroads into India, and even supply arrangements made to manufacture Repower components in Suzlon factories were hampered by quality concerns that made headlines in 2009. Repower eventually rebranded as Senvion and was sold by Suzlon in 2015. Unfortunately, the damage had already been done. 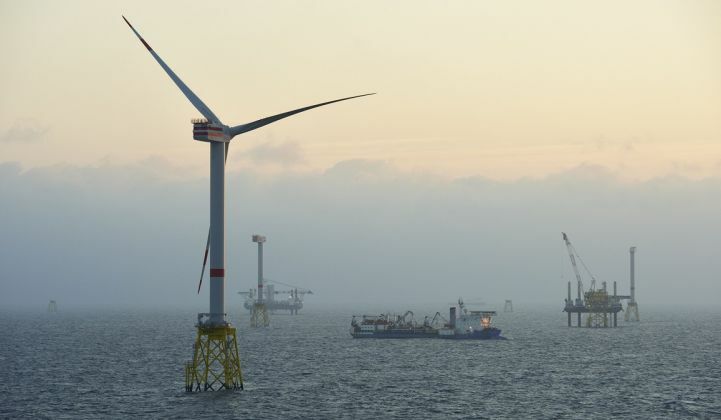 Senvion had fallen behind its peers in the offshore sector as a host of 6+ MW turbines from Siemens, Vestas and Alstom had hit the market, with those same companies already concocting plans for the current generation of 8+ megawatt units. The same issues surfaced in the onshore segment where the positioning of Senvion’s 3M turbine platform, introduced back in 2009, was usurped by the proliferation of products within the Vestas 3.X platform between 2013 and 2015. Siemens and Nordex likewise had caught up with Senvion with their own 3+ megawatt turbine offerings, even as Senvion’s portfolio stagnated. Almost 10 years passed between when Senvion had introduced its world-class MM92 2-megawatt turbine platform in 2007 to when the 2M124 was brought to market. The big question is what to do now. The market has evolved in recent years with the mergers of Siemens and Gamesa, Nordex and Acciona, and finally Vestas and MHI for the offshore sector. 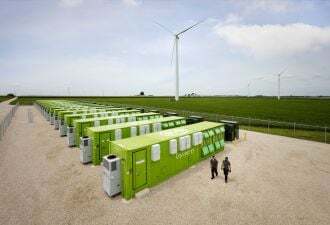 The big have only gotten bigger, expanding their global reach while trumpeting a seemingly never-ending stream of new turbines promising lower levelized costs of energy. These companies, along with U.S.-based GE Renewables, have expanded their global supply chain and set up shop in local content markets when required, enhancing their cost positions and relationships with global wind developers. There is very little these companies stand to gain from a full acquisition of Senvion. Acquiring market share at a premium is of little interest to market leaders, and Senvion production facilities may be even less attractive as the European supply base shrinks due to cost concerns. Senvion’s turbine portfolio is robust, but not terribly well differentiated among its Western peers, and increasingly among its Chinese peers. The latest auctions in China highlight this quite clearly. Envision bid into the State Power Investment Corporations’s 6-gigawatt Ulaan Chab auction with its EN-148/4.2 product. Goldwind boasts a whole series of onshore giants including several recently released models. There may be value in Senvion’s proposed 12-megawatt offshore turbine, but there is so very little known about the turbine’s architecture and progress that it is difficult to discern what value it could hold. Again, acquiring the portfolio at a premium would be an unlikely move for global leaders, but it may be something worthwhile to consider for regional Tier II manufacturers like CSIC, United Power or even Brazilian WEG to bolster their current portfolios. Chinese OEMs may have the added benefit of acquiring a proven offshore platform that still competes in that region. The true value for the company is within its services division. The multi-vendor service strategies for many turbine manufacturers have largely languished given the difficulties turbine makers have found in differentiating that service offering at a price palatable to leading asset owners. The Senvion turbines have a tremendous reputation in the market for strong reliability borne of a rather conservative design approach that has hampered new-unit sales in recent years. Senvion boasts a nearly 18-gigawatt installed base with a strong presence in key markets like Germany, France, Canada and the United States. In a time of constant price pressure for new unit builds, the ability to build profit margin from a stable installed base of robust turbines may be too good to pass on. In conclusion, the way forward for Senvion and its investors may be to split up the entity and sell the pieces to acquiring companies that will reap the most value from those pieces. An effort to restructure or refinance the company may prolong the inevitable, especially as developers and financiers are sure to exercise extreme caution when engaging Senvion in light of recent headlines. Dan Shreve is head of Global Wind Energy Research at Wood Mackenzie.